Buy Alpines and Rock Garden Plants from PlantsToPlant, direct from the grower. Technically, Alpine plants are plants that grow in the alpine climate, which occurs at high elevation and above the tree line. 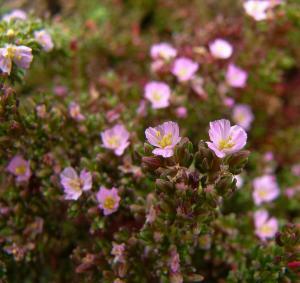 Alpine plants grow together as a plant community in alpine tundra. Some gardeners are discouraged whenever they see the word 'alpine'. They think they'll have to build a special greenhouse in order to grow alpines or mix up barrow loads of special soil. But that is not always the case. Here we use the word loosely to describe a range of low growing plants suitable for a wide range of environments for ground cover, rock gardens troughs and containers etc. It is true; some alpines are very fussy about where they grow. But many of the most colourful are easy to grow and need very little special treatment. 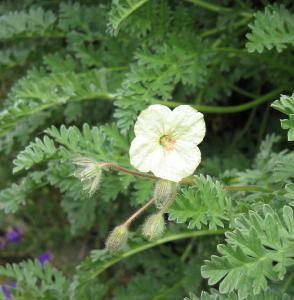 While some alpines confine their burst of colour to spring, many provide foliage or flower colour all the year round. 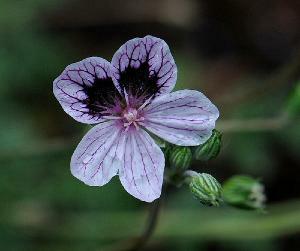 Pratia angulata ‘Treadwell’ or ‘Treadwellii ‘as it is often labeled is a very hardy and long-blooming ground cover perennial. 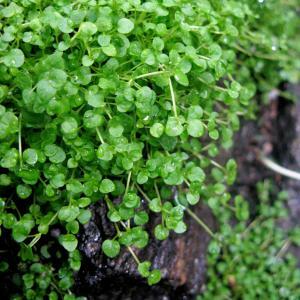 Pratia angulata is sometimes confused with the Australian species Pratia pedunculata. 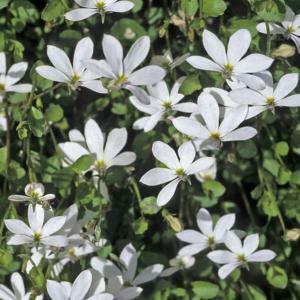 Pratia angulata ‘Treadwell’ is native to New Zealand and often called the White Star Pratia, or creeper. 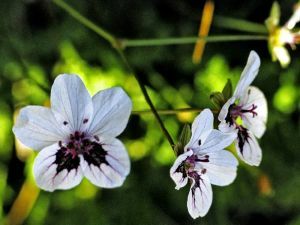 It has been known and grown in the past under avariety of names such as Laurentia fluviatilis, Lobelia fluviatilis, Isotoma fluviatilis, and Isotoma axilaris.